Two of the most shining creative voices in improvised music in New York City — trumpeter Adam O’Farrill and tenor saxophonist Aaron Burnett — come together for a very special double bill. O’Farrill will open the evening with his new nine-piece ensemble Bird Blown Out of Latitude, performing new music born from the disorientation of personal displacement. Aaron Burnett and the Big Machine will follow, featuring one of the world’s most prolific young trumpeters, Peter Evans. Together, they will perform Burnett’s fiercely independent music, a fitting conclusion to this electrifying night. Aaron Burnett was born October 14th, 1981 in Lemoore, CA. Born with a natural talent for visual art, he began to study classical saxophone at the age of eleven. After that, he became interested in jazz music around the age of 16, beginning his journey into improvised music. After attending the University of North Carolina at Greensboro for classical and jazz performance from 1999–2001, he discontinued his schooling there and relocated to Boston, where he attended Berklee College of Music for classical composition from 2005–08, eventually graduating with a degree in Professional Music. Aaron always stressed the importance of establishing a unique sound for himself while in college, studying classical and Baroque compositional techniques, advanced harmony, world music, and atonal composition. He has performed with numerous great musicians, such as Steve Coleman, Wynton Marsalis, Terri Lyne Carrington, Kurt Rosenwinkel, John Blake, Jaleel Shaw, and Kim Thompson, just to name a few. He also toured with three time Grammy winner, Esperanza Spalding in her 2012 world tour with the Radio Music Society and was awarded the 2014/2015 Jerome Foundation Emerging Artist Grant alongside the prolific drummer, composer, and trombonist Tyshawn Sorey. Aaron has also retained the true nature of jazz in his music and his playing, constantly searching for new ways of interpreting the music while remaining modern and consistent with the times we live in. Coupled with his much-appreciated love for the greats of jazz and the tradition, he has established his role as an innovator within this art. In a society ruled by corporations and banks, it’s imperative that the music reflect these times, and that true innovation once again become a centerpiece of jazz. Aaron Burnett has made it his mission to provide people with the sounds of this time and also the future. 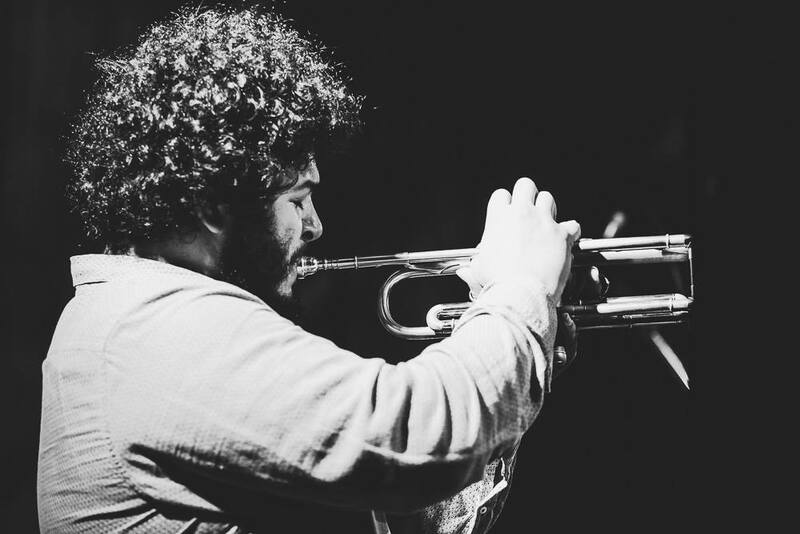 Brooklyn-bred trumpeter Adam O‘Farrill, at the age of 24, has emerged as a “rising star as a player and composer” (PopMatters). 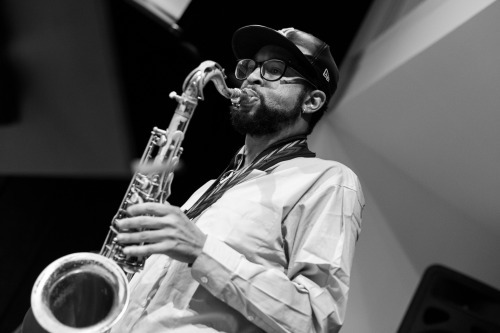 Adam has appeared on many albums, such as Bird Calls (Rudresh Mahanthappa), Cuba: The Conversation Continues (Arturo O’Farrill), Rhombal (Stephan Crump), Weighting (Gabriel Zucker), and New Helsinki (Olli Hirvonen), as well as performing with the likes of Mulatu Astatke, Vijay Iyer, Christian McBride, Mary Halvorson, Samora Pinderhughes, Brasstracks, Louis Cole, and Onyx Collective. In 2016, O‘Farrill released his debut album Stranger Days on Sunnyside Records, featuring Chad Lefkowitz-Brown, Walter Stinson, and Zack O’Farrill. Of the album, Nate Chinen from the New York Times wrote: “Marshaling a sharp band of his peers, Mr O’Farrill establishes both a firm identity and a willful urge to stretch and adapt.” In June 2018, Adam and his band, Stranger Days, released their second album, El Maquech, on Biophilia Records, which covers everything from traditional Mexican music to covers of Gabriel Garzon-Montano and Irving Berlin. The album has already received critical acclaim, including reviews and coverage in NPR’s Fresh Air, the New York Times, and the Wall Street Journal, who wrote that “the band presents rambunctious music that is equally rustic and modern”. At the end of 2018, the album received Best of the Year mentions from the Boston Globe and Nextbop, and and also earned a spot in the NPR Jazz Critics’ Poll. O‘Farrill also received the 2016–17 Jazz Gallery Residency Commission, for which he wrote I’d Like My Life Back, a song cycle about various environmental issues and the moral quandary which surfaces from them. In 2016, he was also commissioned by Baltimore-based chamber duo The Witches to write Overcoming, a tribute to motivational speaker Lizzie Velasquez, as part of the ensemble’s debut album, Behind the Curtain: New Music on Women. In the summer of 2018, Adam presented Unheard, co-commissioned along with vibraphonist Joel Ross and saxophonist Immanuel Wilkins, for the 2018 Charlie Parker Jazz Festival.